John Hume was one of the architects of the Northern Ireland peace process. His dedication to peace and democracy and his hard work in the cause of Northern Ireland has wrought a complete change in the recent history of Ireland. Hume announced his retirement from politics in 2004. John Hume was born in Derry, Northern Ireland in 1939. He was educated at St Columb’s College Derry before entering St Patricks College Maynooth to study for the priesthood. He later decided not to continue with his clerical studies. He remained at Maynooth where he studied French and History and was awarded a BA degree in 1958. He was awarded a Master’s degree in 1964 after which he returned to Derry where he taught in a secondary school. Whilst working as a teacher he became a founding member of the Credit Union in Derry city. The credit union movement was expanding rapidly in Ireland at that time. At the age of 27, in 1964, Hume became the youngest ever President of the Irish League of Credit Unions. He continued his involvement with the credit union movement and on September 11th 2004 he officially opened the new headquarters of Carlow District Credit Union at Askea in Carlow town. A founding member of the Social Democratic and Labour Party (SDLP) John Hume served as leader of that party from 1979 to 2001. He served as an MP for Foyle in the British House of Commons for 23 years as an MEP for Northern Ireland in the European Parliament for 25 years. Following the establishment of the Northern Ireland Assembly at Stormont in Belfast, Hume served as an MLA (Member of the Legislative Assembly) for 2 years. His work as one of the architects of the Northern Ireland peace process led the various terror groups to eventually declare a ceasefire. This in turn gave rise to the Good Friday agreement being brokered on April 12th 1998. 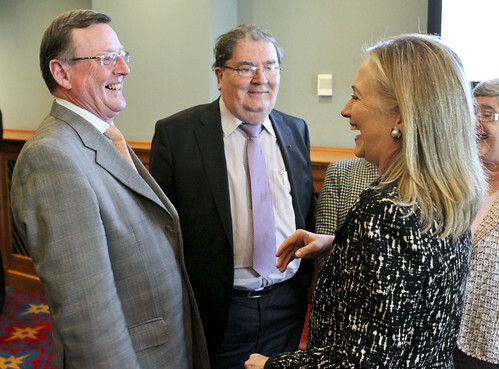 John Hume, along with David Trimble, was a co-recipient of the 1998 Nobel Peace Prize. He was also awarded the Gandhi Peace Prize and the Martin Luther King Award. 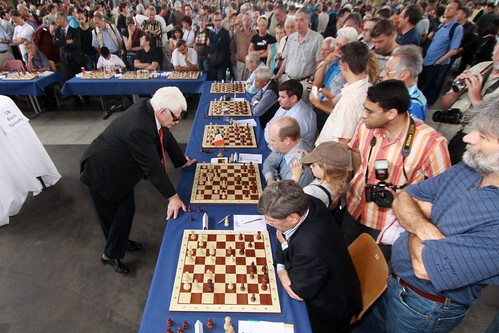 Pope Benedict XVI made John Hume a Knight Commander of the Papal Order of St. Gregory the Great (KCSG) in 2012. In a public poll carried out by RTE (Raidió Teilifís Éireann) in 2010 John Hume was named ‘Ireland’s Greatest’. John Hume KCSG was born in the city of Derry in Northern Ireland in the year 1937 On This Day. Margaret Munnerlyn Mitchell was born in Atlanta, Georgia on November 8th 1900. She was of Irish and Scottish ancestry. Following her education she began working as a journalist with the Atlanta Journal Sunday magazine in 1922. Having suffered an ankle injury in 1926 she quit her job at the magazine. She began writing ‘Gone With the Wind’ whilst recovering from her injury. 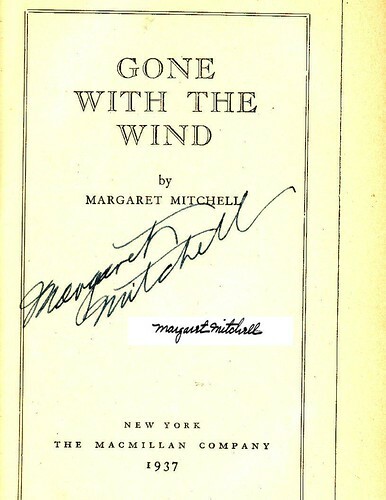 ‘Gone With the Wind’ made Mitchell an instant celebrity. She was awarded the National Book Award in 1936 and the Pulitzer Prize for Fiction in 1937. The award winning film based on the novel was released in 1939. ‘Gone With the Wind’ has been translated into 27 languages and more than 30 million copies have been sold worldwide. 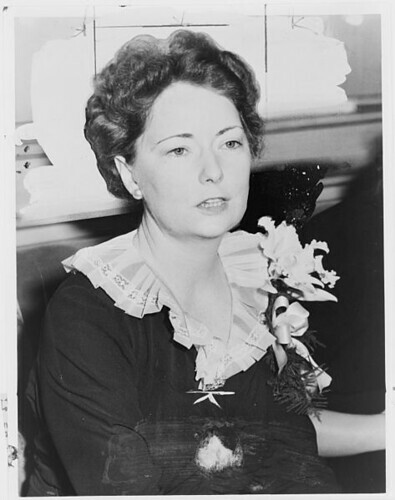 Margaret Mitchell received the Pulitzer Prize for Fiction for her novel ‘Gone With the Wind’ in the year 1937 On This Day. 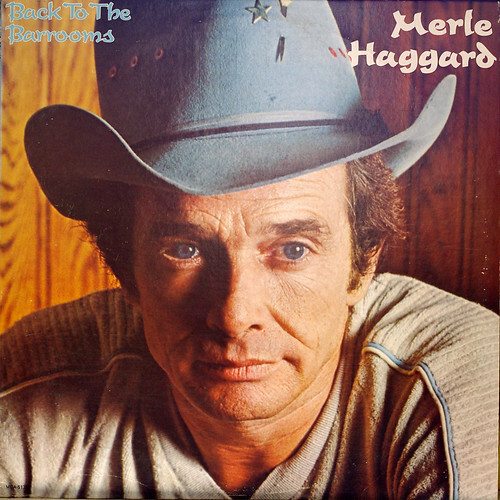 Merle Haggard was a country singer, songwriter and musician who was a native of the USA. His genres included country, outlaw country and what is known as the Bakersfield sound. The recipient of many awards and honours, Haggard became one of the best-known artists in country music. Merle Ronald Haggard was born in Oildale, California in 1937. The death of his father when he was eight years old had a major impact on his life. He began learning to play the guitar at the age of 12, but he had a troubled youth and served time in San Quentin prison. A performance by Johnny Cash in San Quentin in 1959 helped inspire Haggard to pursue a career in music. In 1965, ‘My Friends Are Gonna Be Strangers’ became Haggard’s first American top-10 hit. He went on to have 38 No. 1 hits. With songs such as ‘Sing Me Back Home’ and ‘Okie from Muskogee’ he became a country music legend. During his career Haggard successfully collaborated with many other artists. His numerous awards included the Country Music Hall of Fame and Museum in 1994 and an honorary Doctor of Fine Arts from the California State University in 2013. Merle Haggard, country singer, songwriter and musician was born in the year 1937 On This Day. Mick O’Connell, who is a native of Co Kerry Ireland, is widely regarded as one of the greatest players in the history of Gaelic Football. 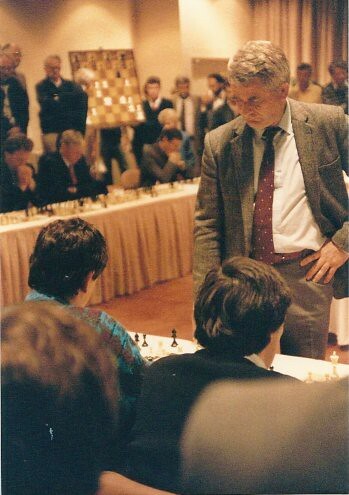 During his career he has won multiple county, provincial and all-Ireland titles. He has also been the recipient of several awards including being chosen as a member of Football Team of the Millennium in 2000. Michael O’Connell was born on Valentia Island, Co Kerry in 1937. 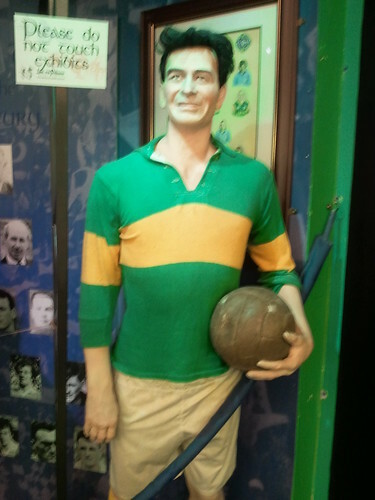 Having played at minor level for his county, O’Connell made his debut with the Kerry senior football team in 1956. He went on to play at midfield for 19 seasons. During his career O’Connell won 12 Munster titles, 4 All-Ireland titles, 4 National Football Leagues and was chosen as an All Star in 1972. He retired from inter-county football the following year. Mick O’Connell was born in the year 1937 On This Day.